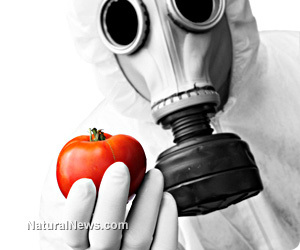 (NaturalNews) In May 2013, two million people in over 50 countries expressed outrage over Monsanto's desire to own the food supply through genetically-altered (and patented) seeds that threaten all life on this planet. Genetically modified organisms (GMOs) are when a plant or animal has been genetically engineered with DNA from bacteria, viruses or other plants and animals. Whether you like it or not, you are eating genetically manipulated food without your consent. Henry Kissinger once said, 'Who controls the food supply controls the people...' This comment plus many other dark and sinister ideas come from control hungry, greedy and, often times, dangerous people and corporations. On the next NaturalNews Talk Hour - we'll expose the hidden agenda behind Monsanto. The NaturalNews Talk Hour is a free, weekly show - available via computer or mobile device - every Sunday from 9 am - 9 pm (EST). To receive program details and gain show access - visit: http://www.naturalhealth365.com.